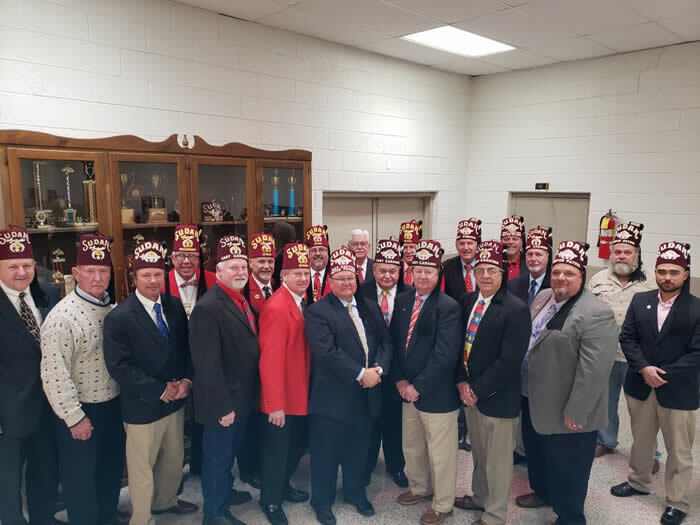 The photo shows all of the officers for the Lenoir County Shrine Club, the Sudan Cart Caravan and the Sudan Motor Patrol. This photo is with club members and members of our Divan taken on December 5, 2018 immediately after the Installation of officers for 2019. Approximately 80 people attended the annual event. The Sudan Motor Patrol will hold their Annual Reverse Drawing on Saturday January 19, 2019 to be held at the Lenoir County Shrine Club. For tickets please contact any Sudan Motor Patrol members or any Lenoir County Shrine Club member. President Spillman Grice, Lenoir County Shrine Club President for 2017 & 2018 made the following special award presentations: Noble Tommy Hawkins, “2018 Shrine Club - Shriner of the Year” and Noble Buddy Gates, “Outstanding Contributions and Dedication for the Lenoir Shrine Club Annual Pheasant Hunt”.